This week Emily has #takenover to tell us all about The Pyjama Party, a new fundraising campaign run by The Sick Children’s Trust. When Lisa asked us back in January to nominate our favourite charities for our new Charity of the Year programme, for me it really was a no-brainer – it just had to be The Sick Children’s Trust! Before joining the lovely bump team, I worked at The Sick Children’s Trust in the small and friendly in-house PR team. The charity provides families with free ‘Home from Home’ accommodation, as well as emotional and practical support when their children are undergoing specialist medical care in hospital. It runs ten ‘Homes from Home’ across the UK, enabling not only parents to stay by their child’s bedside, but their siblings too. Having worked for the charity, visiting the houses and speaking with the families it benefits first hand, I can honestly say that the work it does is incredible. To find out more and learn the story of one family who stayed in Crawford House, the charity’s Home from Home in Newcastle, have a look here. 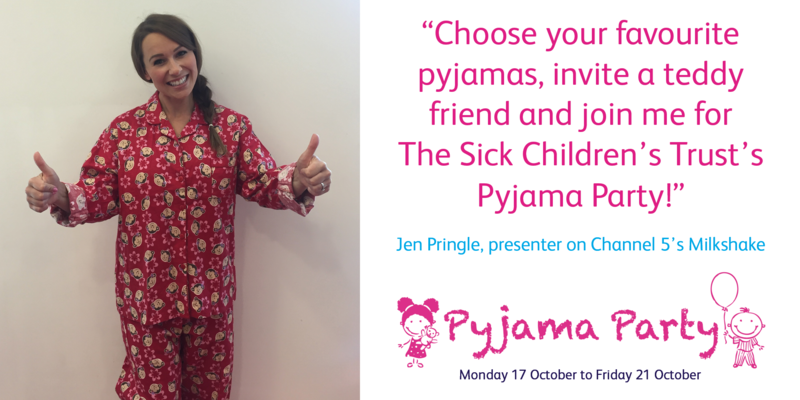 This October, The Sick Children’s Trust are launching The Pyjama Party and here at bump we are of course joining in (yes, there will be cake!) 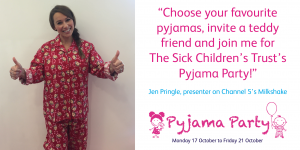 From Monday 17th October to Friday 21st October, the charity is calling on children, nurseries, playgroups and adults too, to don their pyjamas and raise much needed funds to help support families with seriously ill children in hospital. So here it goes, here at bump we’re asking you to join in the fun, spend a day in your pjs, eat lots of cake and help to raise money for families across the UK! Look out for the bump pyjama party on Instagram, Facebook and Twitter! For more information or to request a free fundraising pack, email fundraising@sickchildrenstrust.org.